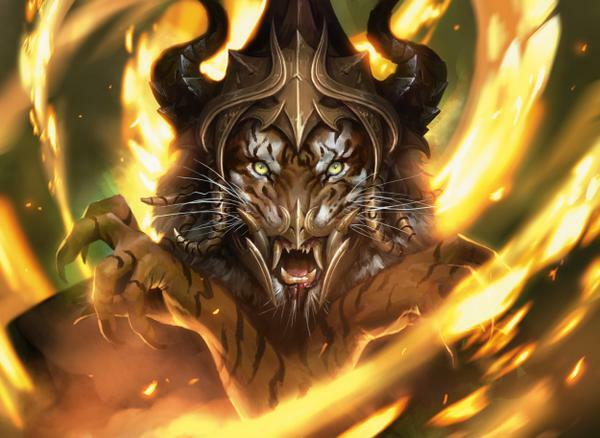 This afternoon, the annual Comic-Con panel for Magic was held, and a slew of new information about Khans of Tarkir, Duel Decks: Speed vs. Cunning, and the fall 2014 Commander decks was revealed. From the Vault: Annihilation will be released August 22 and will include Armageddon, Wrath of God, Rolling Earthquake, Cataclysm, and Living Death. Unknown products were announced too: The original four Duel Decks will be released as Duel Decks: Anthology. 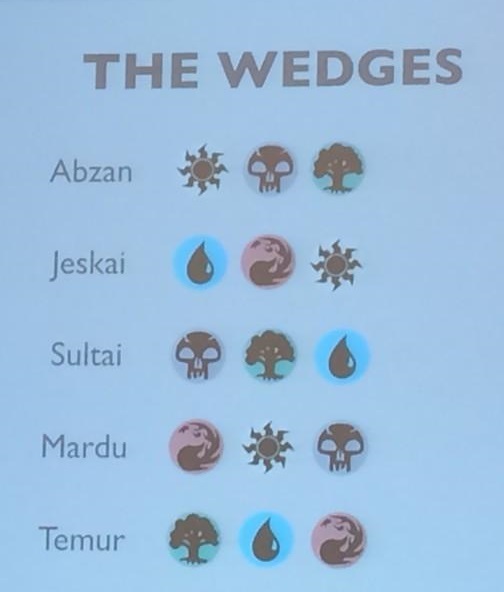 These were Jace vs. Chandra, Elves vs. Goblins, Divine vs. Demonic, and Garruk vs. Liliana. 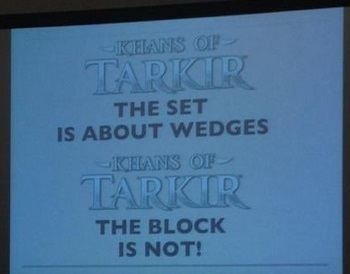 Khans of Tarkir is going to be a large set—small set—large set block structure (like Innistrad, Dark Ascension, and Avacyn Restored, with a special consideration for Limited and "a time travel element" yet to be revealed. 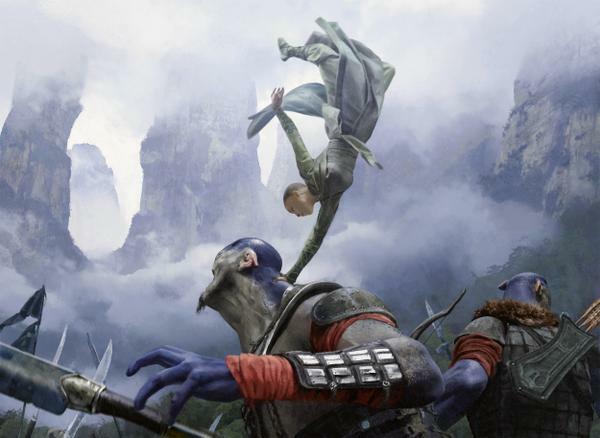 Tarkir itself is a plane of five warring clans, each worships a different aspect of the plane's (now extinct) dragons. 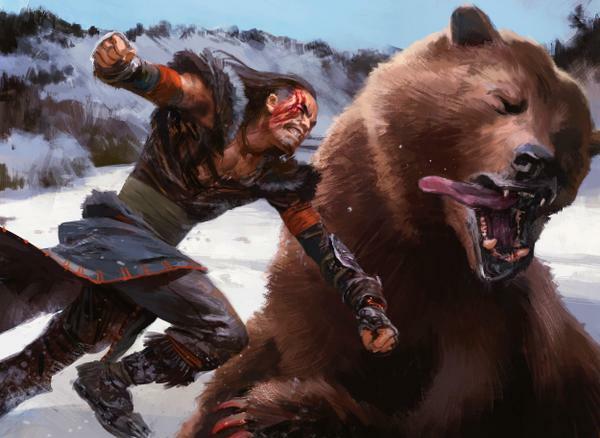 Seeded Prerelease boxes are returning, one for each clan, but this time the Prerelease promo for each will be one of eight different cards at random, easing some of the "one seeded box is much better for Limited than the others" concerns from recent prereleases, and hopefully resulting in more a even selection of boxes. Finally, each clan will have its own mechanic, with morph returning for the block. What were you the most excited to discover coming this fall?